Alien beings bent on our destruction have seeded the world with horrible machines capable of transforming our planet into a hellhole where onlytheycan live. 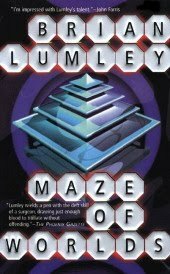 Our only hope is to solve the puzzle of a four-dimensional maze, an alien thing that is part building, part machine, and part psychological torture chamber. A few brave men and women--and one fearless dog--dare to enter the maze. What they find there will change their lives forever, as the alien machinery creates terrifying worlds based on their worst nightmares.